At its most basic, a QR Code is a barcode on steroids. They’re used for encoding information in two-dimensional space – like in the pages of magazines, in advertisements and even on TV and Web sites. WP Edit Pro uses QR Codes to design and place a QR code in the content area or in a widget area. The QR Code will contain the link to the webpage where it is being displayed. Readers can scan this QR code from their mobile device (right on the computer screen), and take your article with them on the go. Learn how to scan QR codes from an iPhone or iPad; or from an Android device. To get started, first enable the QR Codes globally. Visit the WP Edit Pro admin settings page, and click the “Extras” tab. Scroll down to the QR Codes section. The QR Code color scheme can be adjusted and modified. 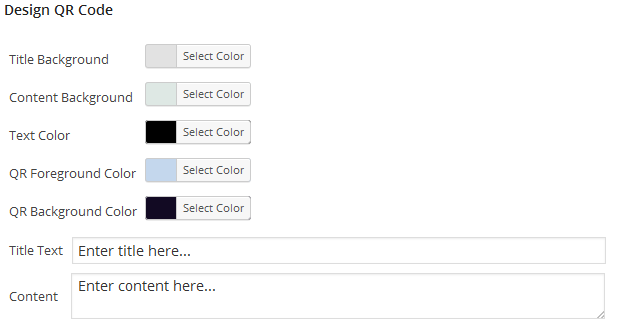 Choose colors which compliment your website. Also, the Title and the Content Text of the QR Code area can be adjusted. This is a global option affecting all QR Codes. When selecting the QR Foreground Color and the QR Background Color, it is highly recommended to use very contrasting colors. Otherwise, electronic readers may have trouble processing the code. A preview area will show the rendered QR Code, as it will appear on the website. Additionally, on each post/page the QR Code can be further refined. By default, WP Edit Pro will add the QR Code to all posts and pages. The QR Code gets added to the bottom of the content area (when viewed from the front end of the website). 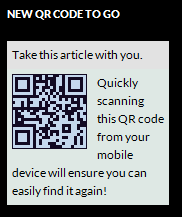 When enabling the global option for QR Codes (beginning of this article); the plugin also added a new metabox on each post/page editor screen. The new metabox is titled WP Edit Pro, and will contain additional QR Code options specific to the post/page currently being edited/created. 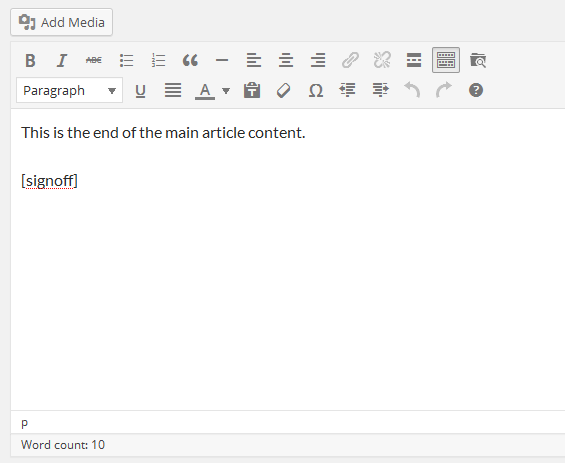 The WP Edit Pro metabox should display directly beneath the content editor (but can be dragged and dropped to any metabox location). If the WP Edit Pro metabox is not visible by default; it may need to be enabled. 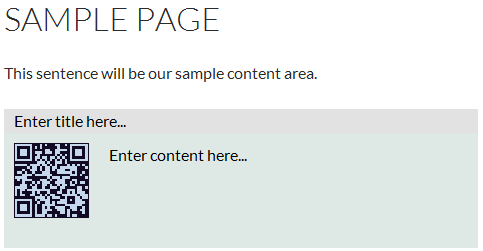 Scroll to the top of the page and click the “Screen Options” tab (upper right of the page), and click the “WP Edit Pro” checkbox. The options on each post/page will allow the QR Title and QR Content to be customized; allowing each post/page to have a unique title and content area for the QR Code. This option will prevent the QR Code from displaying on the selected post/page. Since enabling QR Codes is a global option (described above) affecting all posts and pages; this option provides an easy way to disable the QR Code for specific posts/pages. 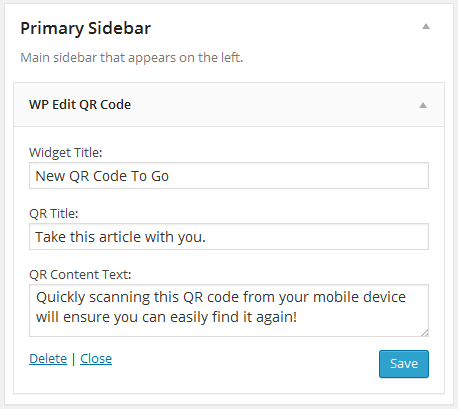 By default, WP Edit Pro will add the QR Code to the bottom of each post/page content area. This is accomplished using a filter hooked to the WordPress the_content() function. If instead, it is desired to add the QR Code at some other location in the content area; this option will disable the default behavior and allow the QR Code to be inserted via a shortcode. Use the shortcode [wpeditpro_qr_shortcode] to manually insert the QR Code at a different location. QR Codes may also be used in widget areas. To enable this option, visit the WP Edit Pro “Extas” tab, scroll down to QR Codes, and check the box to enable QR Widgets. A new widget will be created in the admin panel. Click Appearance from the admin menu, then click the Widgets sub-menu item. The WP Edit QR Code widget should now be available. Drag the WP Edit QR Code widget to any available widget area or sidebar container. Once dropped, the widget will open to display some additional options. Enter a title for the widget. Enter a title for the QR Code. This will override the global title option in the WP Edit Pro QR Code settings page. Enter the content for this QR widget. The content entered here will override the content area entered in the WP Edit Pro QR Code settings page. When WP Edit Pro is deactivated (or the option to globally enable QR Codes is disabled); all QR Codes (both in content areas and in widget areas) will no longer display. Nothing will appear broken; the QR Code areas will simply not appear. They are still in the database, however. Reactivating WP Edit Pro (or the global option to control QR Codes) will restore all QR Codes. This entry was posted in Extras.